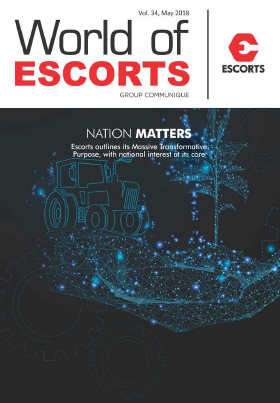 As Escorts bids goodbye to one of its landmark years, I take this opportunity to embrace our late Chairman’s blessings and wish you and your loved ones a very Happy New Year! 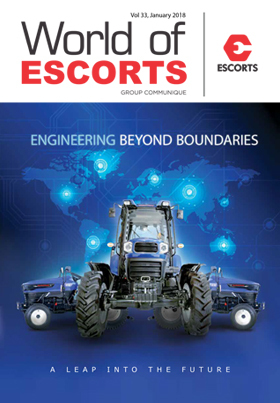 During the year, we saw our hard work result in the achievement of several important milestones to position Escorts Group for the future. These milestones represent significant progress in building our earnings streams, strengthening our capabilities and executing our strategy and planning. 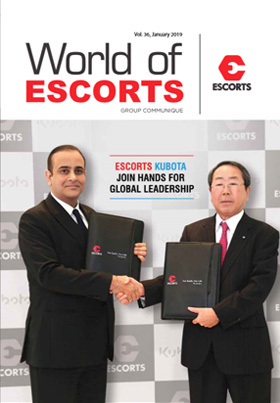 Click on the links below to download the PDF version of our newsletter "World of Escorts"